File: Chris Usher/CBS © 2015 CBS Television Network. 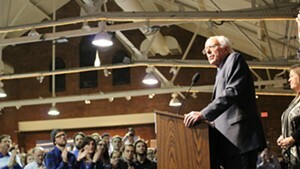 The Democratic National Committee reached an agreement with Sen. Bernie Sanders’ (I-Vt.) presidential campaign early Saturday morning to restore access to a critical voter database. The détente came hours after the Sanders campaign sued the DNC in federal court, alleging breach of contract for suspending access to its voter file. In its complaint, the Sanders campaign argued that the DNC's "unwarranted, unilateral suspension" was causing the candidate "irreparable injury" and threatened to "cripple" his campaign. The Sanders campaign had been barred from accessing information it has collected on voters, supporters and donors since Thursday afternoon, when the DNC discovered that Sanders staffers had accessed proprietary data belonging to Democratic rival Hillary Clinton’s campaign. The DNC initially said it would not restore access until the Sanders campaign provided a full explanation of its activities. The Sanders campaign, meanwhile, accused the DNC of taking its data "hostage" and attempting to "sabotage" it. Without access to its lists, which the Sanders team called “the lifeblood of any campaign,” its canvassing and fundraising efforts were hobbled just six weeks before the Iowa caucuses. In its lawsuit, the Sanders campaign valued the losses it was suffering at more than $600,000 per day. In a statement released early Saturday, DNC chair Debbie Wasserman Schultz said it had reversed course because the Sanders campaign had provided the information it had requested. "Based on this information, we are restoring the Sanders campaign’s access to the voter file, but will continue to investigate to ensure that the data that was inappropriately accessed has been deleted and is no longer in possession of the Sanders campaign," Wasserman Schultz said. "The Sanders campaign has agreed to fully cooperate with the continuing DNC investigation of this breach." She added that the situation was "completely unacceptable." The Sanders campaign, which sent out a statement at the same time Saturday morning, framed the situation differently. It said the DNC had "capitulated" to its demand and had performed an "about face" ahead of a hearing on a request for an emergency injunction. “We are extremely pleased that the DNC has reversed its outrageous decision to take Sen. Sanders’ data," campaign manager Jeff Weaver said. "The information we provided tonight is essentially the same information we already sent them by email on Thursday." He continued: “Clearly, they were very concerned about their prospects in court." Fallon said that “further disciplinary action should be taken as appropriate” at the audit’s conclusion. The resolution capped a tumultuous day of accusations and counter-accusations made by the Sanders campaign, the Clinton campaign and the DNC. After the Washington Post disclosed the suspension late Thursday, the Sanders campaign went on the offensive, accusing the DNC of “tipping the scales” to advantage Clinton. During a conference call with reporters Friday evening, Clinton campaign manager Robby Mook returned fire, accusing the Sanders campaign of theft. According to Mook, Sanders staffers conducted “25 intentional and targeted searches of our data” and attempted to save the information. He said the breach was “totally unacceptable and may have been a violation of the law.” The campaign posted online what it characterized as an audit trail of one user’s intrusions into the system over the course more than 90 minutes. Even as the campaigns slammed each other over the data breach, many details of the incident remained unclear. All sides have said that a security vulnerability occurred Wednesday morning as DNC vendor NGP VAN performed a software upgrade. All of the campaigns using the system were temporarily able to view proprietary information each campaign had layered on top of communal voter data. Weaver acknowledged during Friday’s press conference that at least one staffer had “irresponsibly accessed” Clinton campaign data. He said the campaign had fired that staffer, Josh Uretsky, and was conducting an internal investigation to determine whether others were involved. In interviews Friday, Uretsky claimed he had not been attempting to steal Clinton data but rather to document the security flaw. Weaver said he did not believe the Sanders campaign had retained the compromised Clinton data in any form. 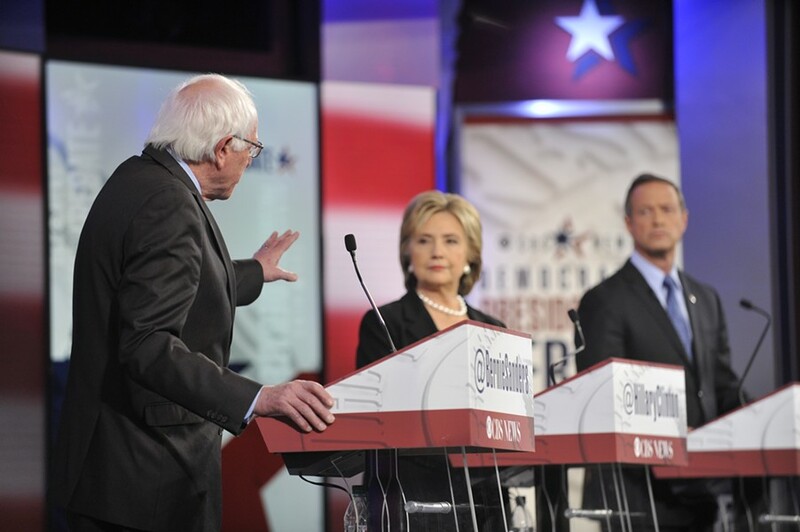 Friday’s conflagration threatened to change the tone of the Democratic candidates’ third debate. It is scheduled for Saturday at 8 p.m. in Manchester, N.H. and will be broadcast on ABC.